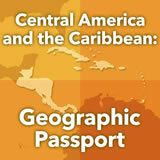 Students are introduced to the physical geography of Central America and the Caribbean. They label several maps with countries and features of the region. Then they research individual countries and report back on significant geographic features. Finally, they make a prediction about the connection between the geography and economy of this part of the world. 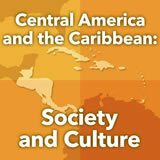 In this experience, students are introduced to the physical geography of Central America and the Caribbean. They label several maps with countries and features of the region. Then they research individual countries and report back on significant geographic features. Finally, they make a prediction about the connection between the geography and economy of this part of the world. 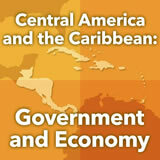 Central American countries include: Belize, Costa Rica, El Salvador, Guatemala, Honduras, Nicaragua, and Panama. For a full list of the Caribbean Islands, see Caribbean Islands. 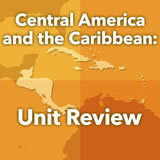 Describe the physical features and climates of Central America and the Caribbean. Describe natural disasters common to the region. To begin, let’s see which countries you already recognize in Central America. Look at the blank map of Central America. Label any of the seven countries that you know: Belize, Costa Rica, El Salvador, Guatemala, Honduras, Nicaragua, Panama. Compare your labeled map to the one below. Go back to your map and add or make corrections so that your map matches this one. 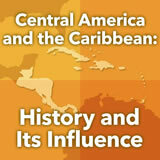 In the table, write a fact you already know about Central America. Then write something you would like to know.